It’s the Couples Massage Package for one! Formerly known as Foot Soak and Massage. Enjoy an aromatherapy foot bath as you sip your beverage of choice with strawberries & chocolates – let the therapeutic grade oils do their magic on your feet. 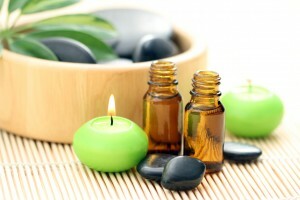 Then enjoy a one hour aromatherapy massage with hot stones and an aromatherapy hot compress – all the pampering extras! Book now in our online scheduling system! It’s the Single’s Massage Package Deluxe! Take some time away from your responsibilities and refresh yourself. 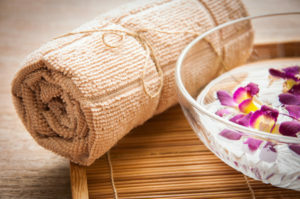 Enjoy an aromatherapy foot soak in a comfy robe with a beverage then receive a 90 minute aromatherapy massage with hot stones & an aromatherapy compress. You deserve it!